Just when we thought that Washington’s establishment elite couldn’t get any crazier along comes former George W. Bush aide and Washington Post token Republican Michael Gerson to snap us back to reality. And then Gerson answers the question in the affirmative on the basis of anonymous leaks from a White House infested with Obama holdovers and President Trump’s recent very public and personal disagreements with retiring Republican Senator Bob Corker. The gist of Gerson’s attack is that President Trump is crazy, because he hurt poor little Bob Corker’s feelings. Before we answer that question a quick review of Bob Corker’s role in facilitating the Iran nuclear weapons deal is in order. Corker’s legislation in effect lowered the threshold for approving the Iran deal from 67 votes to 41 – a craven betrayed the Senate’s constitutional role as the final word on whether or not the United States agrees to a treaty. With Corker’s help Obama was able to end the congressional sanctions against Iran and put the radical Islamist regime on the fast track to a nuclear weapon. And Obama’s nuclear weapons treaty with Iran – with all of its secret annexes and side deals – did exactly that, but then it got worse thanks to Bob Corker. Iran subsequently deployed the Emad long-range precision-guided missile; it has also deployed laser-guided surface-to-surface and air-to-surface missile and a long-range ballistic missile capable of carrying multiple warheads. As Chairman of the Senate Foreign Relations Committee Corker should have immediately held hearings and moved a bill to enforce UNSCR 2231 – instead he did nothing. Thanks to Corker’s treasonous inaction Iran now boasts the "largest and most diverse ballistic missile arsenal in the Middle East," according to Michael Elleman. Israel's stockpile was more capable, but smaller, as CNN reported and you can read for yourself through this link to a study by Anthony Cordesman. What’s more, Iran's air force, once the largest in the Gulf, was seriously degraded due to a lack of access to spare parts, maintenance and pilot training following the break with the West that occurred during the 1979 revolution, says Elleman. However, thanks to Bob Corker that strategic problem for Iran’s radical mullahs has now been solved. 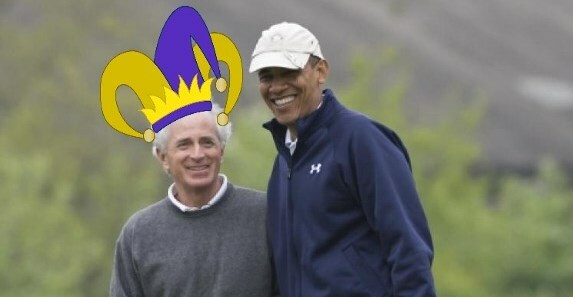 With Bob Corker’s help, Obama was able to lift the sanctions on Iran and pay Iran some $33.6 billion in secret cash and gold payments between 2014 and 2016, according to reporting by Adam Kredo of the Washington Free Beacon. Between January 2014 and July 2015, when the Obama administration was hammering out the final details of the nuclear accord, Iran was paid $700 million every month from funds that had previously been frozen by U.S. sanctions. A total of $11.9 billion was ultimately paid to Iran, but the details surrounding these payments remain shrouded in mystery, according to Mark Dubowitz, executive director at the Foundation for Defense of Democracies. In total, "Iran may have received as much as $33.6 billion in cash or in gold and other precious metals," Dubowitz disclosed to Kredo. This cash infusion allowed Iran to enter into a deal with Boeing for $8 billion on the sale of 80 multi-use aircraft and the lifting of sanctions solved the Islamic Republic’s spare parts and training problem as well. Oh, there’s the small problem of Bob Corker’s ongoing ethics and financial reporting problems; Corker failed to properly disclose millions of dollars in income from real estate, hedge funds and other investments between 2007 and 2015, and most recently, there is the shady deal for the McGowin Park shopping center in Mobile, Alabama, where key legal documents are missing and as much as $194 million in sales tax revenues were diverted from bondholders to developers, including Bob Corker. So, who’s crazy? President Trump, who is trying to undo the national security disasters shady Senator Bob Corker facilitated on behalf of Barack Obama, or those, like Michael Gerson, who take the side of the shady Senator from Tennessee and trash Trump for telling it like it is about Bob Corker?